A new article has been published on the Dolphin blog, showing the history of the final step in the DSP HLE rewrite - New Zelda HLE. Feel free to comment on the article in this thread. I know LLE had always been a resource hog more than HLE. But according to how well the progress has been lately for HLE, would this mean that HLE would eventually catch up with LLE in how demanding it is in the long run, or will HLE always be less of a strain than LLE? 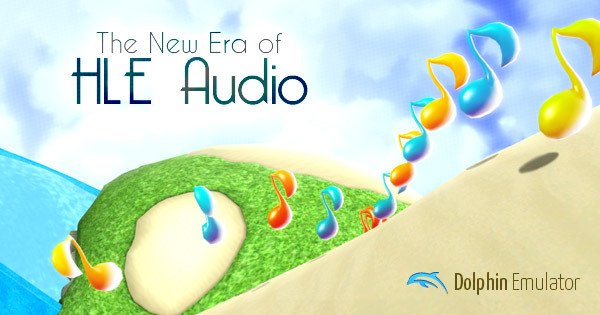 HLE audio will never be even a fraction as intensive as LLE audio. (08-20-2015, 01:09 AM)cyrax33 Wrote: I know LLE had always been a resource hog more than HLE. But according to how well the progress has been lately for HLE, would this mean that HLE would eventually catch up with LLE in how demanding it is in the long run, or will HLE always be less of a strain than LLE? HLE will always be less demanding. It's a bit like how playing a PC game is less demanding than emulating the Wii version of the same game. \o/ Congratulations!!! Perhaps this _was_ (after ALL the superb improvements lately) the last withstanding Holy Grail of Dolphin. TFN and zfreeze and the rest being just as huge. The development has been breathtaking since the beginning of 2014. Will this get merged with the 5.0 rc builds? (08-20-2015, 03:17 AM)KHg8m3r Wrote: Will this get merged with the 5.0 rc builds? 5.0 will be old by the day it will be released. But at least it will be a significant step over 4.0.2 that a lot of people currently use. Dev builds are better to use in dolphin for a while now.